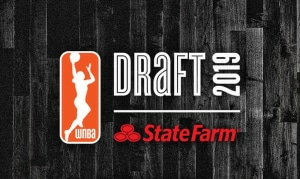 The Washington Mystics have selected Kiara (key-AIR-uh) Leslie from North Carolina State University with the 10th overall pick in the 2019 WNBA Draft. A 6-0 guard, Leslie spent the last two years at NC State where she pursued a master’s degree in Liberal Arts. She played in every game and helped lead the Wolfpack to consecutive Sweet Sixteen appearances. 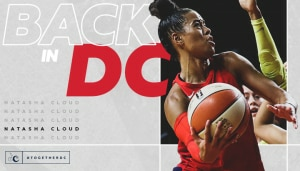 During the 2018-19 season, she earned First Team All-ACC and All-ACC Defensive Team honors, averaged 15.9 points per game, 7.2 rebounds per game and 2.8 assists per game while recording 10 double-doubles. For the 2017-18 season, Leslie recorded 12.7 points per game, 5.9 rebounds per game and 1.7 assists per game to go along with four double-doubles. She was named to the ACC Academic Honor Roll and the All-ACC Academic Team. Prior to attending NC State, Leslie attended the University of Maryland where she graduated with a bachelor’s degree in criminology. 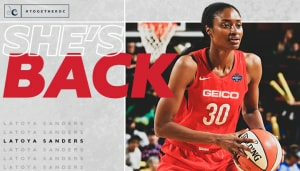 Her career averages with the Terrapins include 4.0 points per game, 2.8 rebounds per game and 0.7 assists per game. She earned consecutive Academic All-Big Ten honors in 2016 and 2017. Throughout her collegiate career, Leslie has scored over 1,000 career points. In the third round (34th overall), Washington selected Sam Fuehring (FYUR-ing) from the University of Louisville. The 6-3 forward led the Cardinals in rebounding with 7.2 rebounds per game to go along with 10.8 points per game. Following this year’s NCAA tournament, she was named to the Albany Regional All-Tournament Team and earned consecutive All-ACC Tournament Team honors. Fuehring averaged 7.2 points per game and 4.3 rebounds per game during her four years at Louisville. 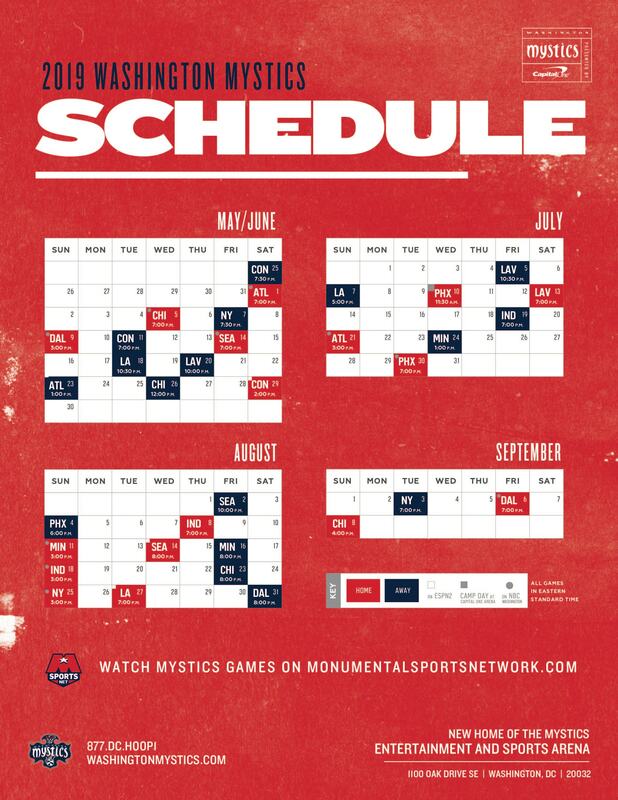 Washington’s home opener at Entertainment and Sports Arena in Congress Heights will take place on Saturday, June 1 with a rematch of the WNBA Semifinals against the Atlanta Dream at 7:00 p.m. 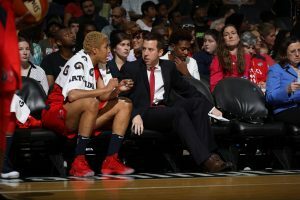 The team is coming off the most successful season in franchise history with a 22-12 regular season record and their first trip to the WNBA Finals.